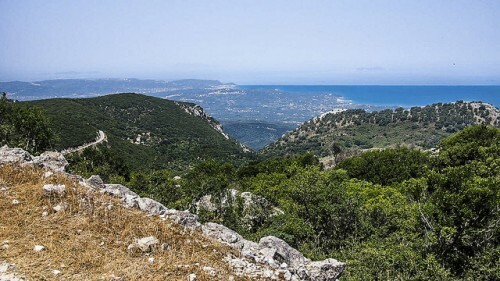 Although the island is bound to Greece through 1000’s of years of mythology and shared history, Corfu has its own unique story which is completely different from the mainland. 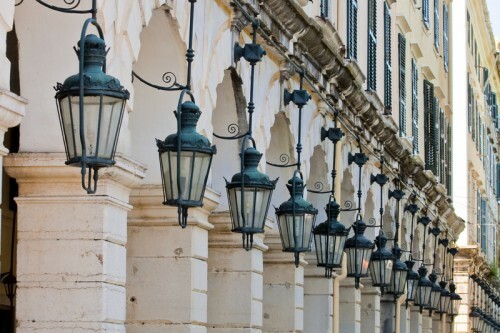 While most of Greece was being occupied by the Ottoman Empire, Corfu was occupied by the Venetians and later the British and the French, all of them leaving their own influence on the architecture, culture and food. But don’t think that you won’t find a Greek influence there too. 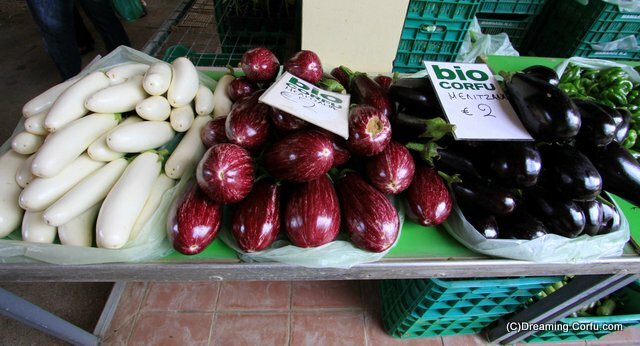 The island’s geography is very much like the rest of Greece, so the produce available is very much in the Greek style. Delicious olives and olive oils, homemade cheeses both hard and soft, and loads of fresh fruits and vegetables which grow all over the island. All very Greek in flavor but with tastes and cooking methods are totally unique. 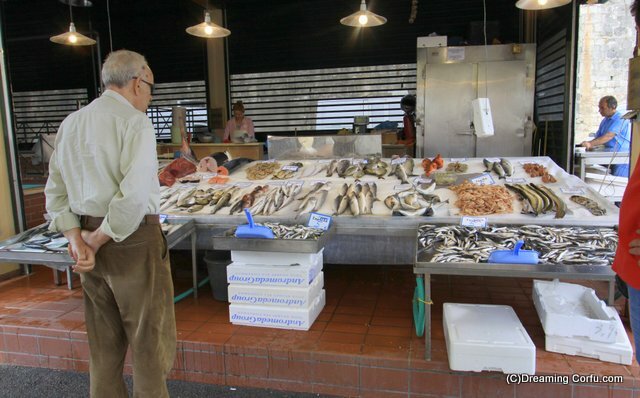 And as with many Greek islands, you’ll find amazing fresh seafood. 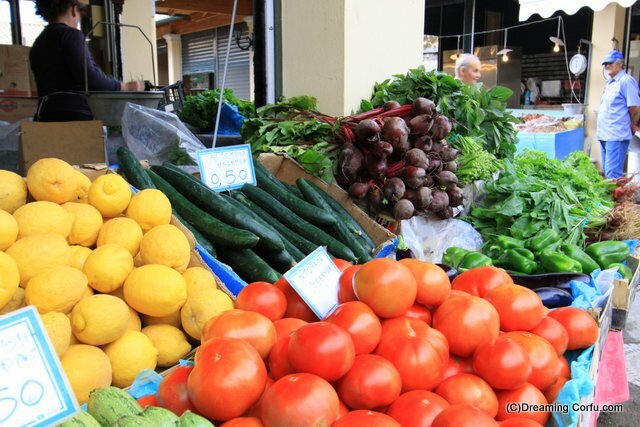 A great jaunt to the market beside the New Fort in Corfu town is a must, get there early around 8am and you can select from the amazing array of the very best fruit ,vegetables and locally caught fish. 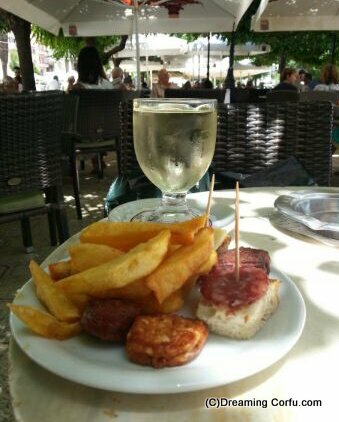 Back when tourism was just starting in the 80´s, the majority of the tavernas serving food to travelers offered little more than bland moussaka and some soggy chips. Fortunately, times have changed, and the options of delicious dining could keep you busy for weeks on end. You can find the influence of the Italians by the numerous pizzerias and gelato places on the island. To be honest, some of it is better than you might taste in Tuscany. Other great Venetian influenced dishes include four of the best known Corfiot tasty treats and not-to-be missed taste , they are Sofrito (sliced veal cooked with vinegar, garlic and parsley); Bourdeto (a peppery fish stew); Bianco, (a white, garlicky fish stew); and Pastitsada, (a pasta and meat or pasta and cockerel dish). 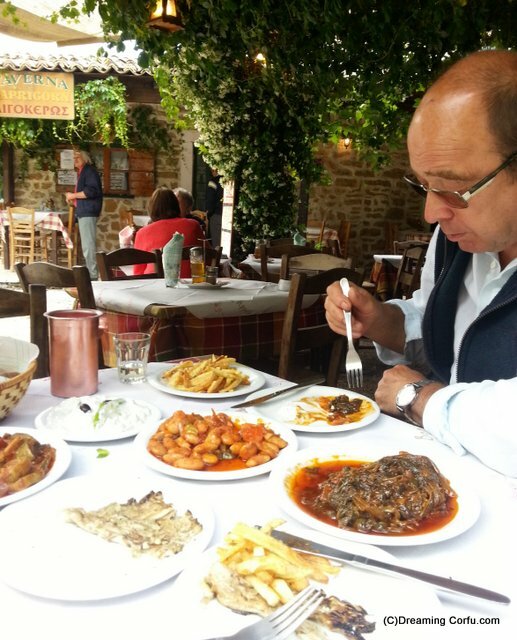 Most of the family run tavernas offer meals that are unique to that restaurant and some of the recipes are closely guarded secrets. A favorite place to dine in Corfu is the Psaro tavernas. These places specialize in fish dishes. Most have their own dedicated fisherman, very often the owner of the place, and everyday you will find specials on the menu reflecting the day’s catch. Try Bourthetto, a spicy dish made from Black scorpion fish. The calamari and octopus they prepare at these places is just divine. 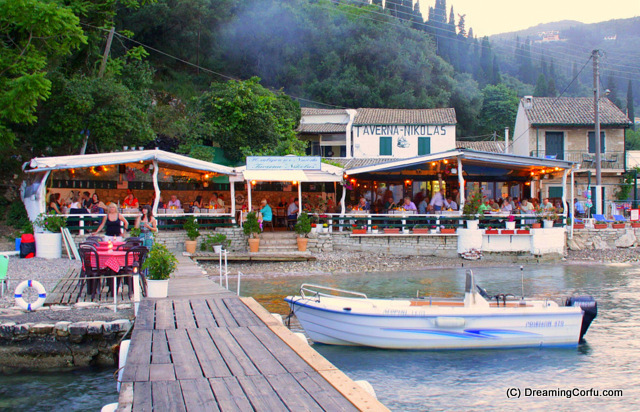 Some of my favourite Psaro tavernas are Taverna Kouloura at Kouloura on the North East easily reached by boat, or Roula Fish taverna at Kontakali or further south of Corfu town on the East is Karidis Restaurant in Boukari ( made famous by Rick Stein) where you go into the kitchen and choose your fish then eat it on the beach, – simply prepared and extremely tasty. In between lunch and dinner you should always be on the look out for one of the many Souvlatzidika shops. 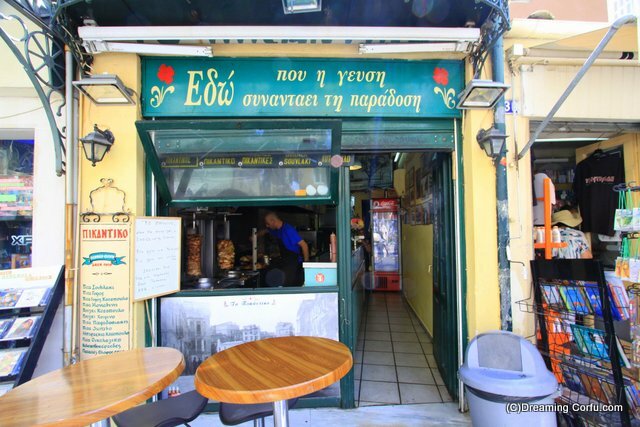 They offer up freshly cooked souvlakia “skewered kebabs” sometimes made into ‘gyros’ by wrapping them in pita bread with salad and tsatziki, spicy sauce and chips. 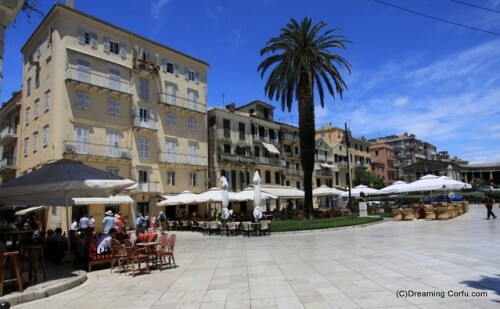 Great for an afternoon snack and voted by our whole family as the very best is one right in the piazza of Corfu old town. 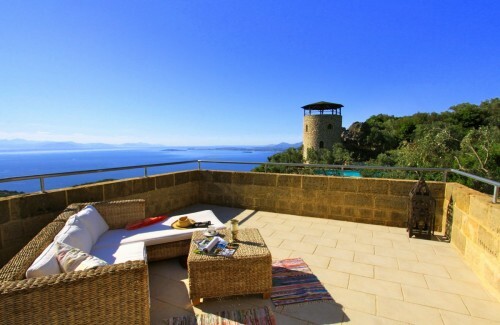 In the evening before (or after) dinner, try out one of the Ouzeri on the island. They serve little snacks called “mezze” with your drink. 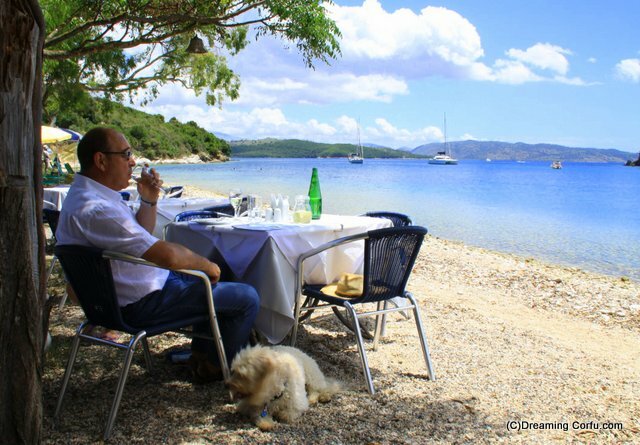 Depending on the place, it could be anything from some of the local delicious olives served with homemade feta cheese to a platter full of souvlaki, olives and spanakopita (spinach pie). These are also great at lunchtime if you just fancy a small snack, a few days ago I popped into for a lunch time glass of wine and was resented with a plate of freshly cooked meat meze and real homemade chips ( fried in local olive oil) all for only €3.60 now that’s what I call a cheap lunch and it kept be going all afternoon. The Greeks take food seriously. To them, eating is life. If you want to find a great place to eat, ask a local. They will always point you in the right direction.